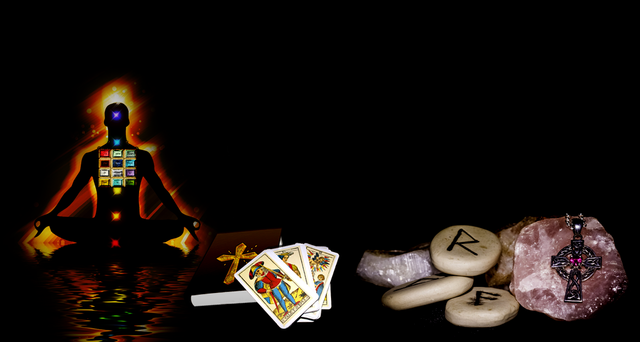 New Age Christianity: Are Divination, Crystal-use, Afirmations, Yoga ok for Christians? This site (http://lothealing.com) is named after the Tree of Life in the book of Revelation whose leaves heal the nations. With such a biblical backing, some people might wonder why there is a focus on things some consider “new age”. Of course, the New Age is the age of rest that has been prophesied in the bible to occur after the ages of the “lake of fire.” If we believe what the bible says about a new age coming (in which there is rest and people will be healed and animals will lay down safely), then why do many Christians fear it? Using crystals, meditations, affirmations, visualizations and divination are thought of as forbidden by many mainstream Christians. I used to be one of them until I took the time and studied it out further. The fact is that the bible mentions these practices in one way or another in a positive light. The High Priest wears crystals and practices divination and affirmations are really just prayers said in complete faith. This page will be an introduction to how these concepts work within Christianity. But there will be other articles that go more in-depth on these topics, so feel free to search the website to find out more information. The word “divination” is defined as “the art or practice that seeks to discover hidden knowledge usually by the interpretation of omens or by the aid of supernatural powers” according to Merriam Webster. By this definition, listening to the Holy Spirit for confirmation and to know what to do is considered divination. When you pray to know whether or not to take a job, or make a phone call, or to know which way to go and feel led to do one thing over the other, you’ve practiced divination because you were aided by a supernatural power to discover knowledge that was hidden from you before you prayed. Joseph tests his brothers and places his diviner’s cup in Benjamin’s sack. He tells them that he divines with this cup. When Jonah was running from God, the ship he was in was stuck in a storm, and the people onboard threw lots to figure out why. The divination by lots worked, and Jonah confessed the storm was because of him. The disciples threw lots to figure out who the next disciple should be. Acts 1:24 And they prayed, and said, “Thou, Lord, which knowest the hearts of all men, shew whether of these two thou hast chosen, 25 that he may take part of this ministry and apostleship, from which Judas by transgression fell, that he might go to his own place.” 26 And they gave forth their lots; and the lot fell upon Matthias; and he was numbered with the eleven apostles. Divination in the bible is prevalent and the divination didn’t disappear after Christ died and was resurrected as evidenced by the disciples throwing lots to figure out the 12th apostle. What is condemned by the bible is divination by blood and bones, this is probably because of the sin (or negative/low vibration) attached to the shedding of blood (which God hates). I discuss this topic a bit further in the following video. Some people open the bible randomly after praying for an answer, this is called “bibliomancy” and is a form of divination. There are different objects we can use to hear from the Holy Spirit, a few of these include throwing lots, using bibles through bibliomancy, and divining with Tarot or oracle cards. Of course there are many more ways; often I’ll see messages from God when scrolling on Facebook with a synchronistic post on something I’ve been thinking about. He is so amazing, He can use whatever He wants to in order to guide us. But different mediums (like music, cards, Facebook, lots) have different ways to share knowledge so there are pros and cons to each, which is why He uses whatever He can when He can in order to reach us. According to the Bible/Tanakh the high priest is supposed to wear a breastplate similar to the one shown below. There are different interpretations as to what stones they actually wore, especially since the Masoretic text (which is what our English bibles usually use) differs from the Septuagint (the Greek version of the Tanakh) concerning the names of the stones. There is some discussion on which stones they might have been on this Wikipedia page. Some of the stones considered are Carnelian, Jasper, Topaz, Chrysolite, Emerald, Carbuncle, Malachite, Turquoise, Sapphire, Lapis Lazuli, Hyacinth, Onyx, Amber, Jacinth, Agate, and Amethyst. According to the book of Hebrews, the Messiah is now the High Priest and if so, he would likely be wearing this breastplate. We are also supposed to be priests in the heavenly kingdom that is coming to earth. It would only make sense that we would be drawn to wearing crystals. The Messiah told us to pray with complete faith, and to do that, it means we pray knowing that, so long as we’ve prayed for our Father’s will to be done, then what we prayed for is already given to us. This is the heart of the “law of attraction” theory. Though many Christians are against the “law of attraction” belief, it is actually very biblically based. We cannot receive forgiveness unless we forgive (Matt 6:14-15), and we are to love others as we want to be loved, treat them as we want to be treated (Matt 7:12). In the “law of attraction” theory if you treat others negatively you will receive that back. This is absolutely true; we can say it’s the “rules of the game of life” or “the torah.” This world was build on these universal truths, and that is likely the Golden Rule. If you would like more information on how the law of attraction works, or how to use affirmations, please see the video playlist below or check out the Affirmations page. You might wonder how meditation differs from prayer. I once heard someone say, “Prayer is when you talk to God. Meditation is when God talks to you.” That seems to describe meditation very well. The “word of God” is a reference to the “commandments” or “doctrine” of God (that the prophets spoke) and it’s also a reference the “Holy Spirit” of God. That may be confusing how it can be both, but really YHWH’s Holy Spirit is there to convict you of sin, by being the rules/commands that you’ve broken. This is what is meant by “grieving the Holy Spirit.” When you feel conviction after sinning, you are acknowledging the Holy Spirit is holier than you are at that moment, so you have two choices: repent to be washed clean and forgiven and align with the Holy Spirit again, or grieve the Holy Spirit and follow the “antichrist” spirit like the world does. You feeling that uncomfortable feeling of conviction, is actually a form of meditation. You’re hearing from God. People who don’t feel guilty when they sin, have likely grieved His Holy Spirit over and over. You can see this video for more information on that. So where is hearing the “Word of God” in the bible? We can see that the “word of God” they spoke was also called the “Holy Spirit” AKA “the Spirit” of their Father. YHWH’s Spirit is the “word of God“. In Ezekiel the “word of God” came to him, through YHWH’s Holy Spirit. Ezekiel 1 sets the stage and says “the word of YHWH came to Ezekiel.” (Ez. 1:3) So we know Ezekiel heard from the “word of God” and Ezekiel 2 tells us how. Ezekiel 2:1 He said to me, “Son of man, stand up on your feet and I will speak to you.” 2 As he spoke, the Spirit came into me and raised me to my feet, and I heard Him speaking to me. Psalm 119:15 I will meditate on your precepts and fix my eyes on your ways. Joshua 1:7 Only be strong and very courageous, being careful to do according to all the law that Moses my servant commanded you. Do not turn from it to the right hand or to the left, that you may have good success wherever you go. 8 This Book of the Law shall not depart from your mouth, but you shall meditate on it day and night, so that you may be careful to do according to all that is written in it. For then you will make your way prosperous, and then you will have good success. There are, of course, many more scriptures to do with meditation (see more) but many of them have to do with meditating on YHWH’s laws/commands. Besides just feeling guilty after you sin, you may hear from Him in other ways. If you’ve ever had a hard time falling asleep, this could be a sign God’s trying to speak to you. The saying, “How do you sleep at night?” refers to people who seem to have no conscience because many people do have a conscience that keeps them awake at night. If you’ve had a really awful fight with someone and it’s not resolved and you try to go to sleep, chances are you’re going to replay the fight over and over in your head. Ephesians 4:26 “Be angry, yet do not sin.” Do not let the sun set upon your anger, 27 and do not give the devil a foothold. If you keep thinking about it over and over again, that may be God trying to remind you to deal with this right now. The reason we’re not supposed to fall asleep with this unresolved may have a lot to do with planting seeds in our subconscious when we sleep. You may wind up planting seeds of wrath and grudges rather than planting seeds of mercy and forgiveness. If when you go to bed you’re thinking of all the things you have to get done, but don’t do, this is a sign that you’re procrastinating. Procrastination is a choice of avoidance. You need to make the decision to finally tackle these things, or make the conscious choice to not tackle them or put the task on someone else if you can. But stop avoiding thinking about it. If when you go to bed you’re constantly worrying, then you need to relax and put things in God’s hands. Affirmations like, “God is in control of everything and He has my best interests at heart,” might help. The things that come up in your mind as you try to fall asleep are communications from God of things you need to deal with. To go further with meditation, and clear your mind of these things, you have to deal with them. You will find that if you attempt to meditate when you have trouble falling asleep because of these thoughts, you will have the same thoughts continually pop into your mind as you’re trying to clear it. The reason why you have these “unwelcome” thoughts popping into your head as you’re trying to clear your mind is because God knows that you need to change your attitude and deal with these things before trying to force a more spiritual connection with Him. Even people who are into the Kundalini meditations warn others of negative side effects they have seen in people who have attempted to do this before purifying themselves spiritually. See the lake of fire article for more information on the need to purify ourselves. Basically as you push forward to have more spiritual interactions through meditation, you are telling God that you want to have the heat turned up on the lake of fire so you can be purified faster. This results in having to deal with more intense Essene Mirrors and it’s a bit like trying to detox too quickly. Many people warn others to detox more gradually if you’re really full of toxins, because detoxing too quickly will give you a “healing crisis” and could led to death in the most extreme cases. The lake of fire purification process is like a detox of your sins and going too quickly can cause a spiritual “healing crisis”. You can do this as you go to sleep or during the day in a quiet space with no distractions. Just watch and listen to your thoughts. If you are reminded that you’re angry with someone, forgive them. If you’re reminded of a task you’ve been putting off, make the decision to deal with it (or literally go deal with it and come back to meditation afterwards). If you’re afraid of something, pray for peace, and affirm that God is taking care of you and watching you always. “Let go, let God” as they say. Just let Him take care of things. Florence Scovel Shinn discusses “Casting the burden” onto Christ in her book The Game of Life and How to Play It. When you’re able to sit quietly without having a bunch of things come into mind, then continue on to the “deliverance”. In the article “Deliverance From Demons” a basic guideline to purifying yourself spiritually is given. What people call “demons” may be different depending upon what religion they align themselves with. The “Jinn” from Islam might be one term found. Those who believe in the demiurge might use the term “archons” for demons. For people who don’t believe in a demonic entity, they may call it the “shadow side” of yourself, or the lower vibrations of your spirit. Whatever you want to call it, we need to meditate and let these issues come to our mind, so we can release them. One you repent of those sins (or shadows) the demons (or archons, or Jinn, or forces) have no power over you. This is very similar to the preparation, but this time you’re asking God to show you the things you’ve been suppressing, and you’re going a little deeper into these issues you need to be freed from. Now we can discuss the terms of meditation that are usually described by mainstream Christians as “New Age.” The terms are Kundalini and Yoga meditation, chakras, and the pineal gland. The word pineal comes from the Latin word pinea which means “pine tree,” this is because the shape of the pineal gland looks like a pine cone (source). In Hosea there is an instance where YHWH seems to be symbolized as a pine tree. Hosea 14:4 I (YHWH) will heal their backsliding, I will love them freely: for mine anger is turned away from him. 5 I will be as the dew unto Israel: he shall flourish as the lily, and be firmly rooted like the trees of Lebanon. 6 His branches shall spread, and his beauty shall be as the olive tree, and his smell as the trees of Lebanon. 7 Those who live in his shadow will again raise grain and blossom like grapevines: They will be as fragrant as the wines of Lebanon. 8 What has he to do any more with idols? I have afflicted him, and I will strengthen him: I am as a green cypress (pine) tree. From me is thy fruit found. This passage has Israel (men) symbolized as the trees of Lebanon, and also has YHWH symbolized as a green pine tree. This is why some Christians use this passage to explain their use of an evergreen tree for Christmas. Some Christians disagree with that being a justification, saying that YHWH compared Himself to an ox (Numbers 24:8) and wasn’t pleased with the worshiping of the golden calf. But the debate they have is about whether or not Christians are worshiping the tree, not whether or not YHWH compared Himself to the tree. According to this article on Pubmed, the pineal organ of the Rana esculenta frog has rods and cones. These sensory cells pick up light. Our eyes use rods and cones to pick up light in order to see. And this frog also has rods and cones in the pineal organ in order to see. Our vision comes to us based on our perception of light. It is likely we have the same capability through the pineal gland. This is why the pineal gland is described as the “third eye,” because it has a perception of “light,” which leads to vision. The pineal gland has been called the “seat of the soul,” and the kingdom of heaven is inside of us. There are also some who say the ark of the covenant is in our brains. Christ was supposed to have been crucified in Golgatha which means “the place of the skull,” (Matthew 27:33). Could it be that Matthew 6:19-23 is talking about our pineal gland where we’re storing up heavenly treasures? The light of the body is the eye that is single (verse 22). So if the pineal gland is between the temples in Golgatha (the skull) and that’s where the mercy seat is, then the light of God could appear above the mercy seat (perhaps in the pineal gland that can perceive “light”) and we can perceive Him there “in our mind’s eye,” the pineal gland. How did Jacob see God face-to face, when no one has ever seen God and lived? The same way Moses saw God face-to-face most likely. The phrase face-to-face is a Hebrew idiom meaning something like, “personally witnessed something divine” or “meet each other in battle.” We see that there was a battle, a divine battle between Jacob and another. But was this a physical battle or was it a spiritual battle taking place during meditation? It seems to be more likely that it was a spiritual battle. After Jacob has a divine battle he saw “God’s face” and his name got changed from Jacob meaning “supplanter” to Israel which means “He who prevails with God.” A supplanter is someone who tries to supersede, especially by force or treachery. Matthew 11:12 From the days of John the Baptist until now, the kingdom of heaven has been subject to attempted burglary, and the forceful, violent try to seize it. We’re told that some people are trying to enter the kingdom of heaven (within) by trying to seize it, like a bounty/spoil that wasn’t supposed to be theirs. Jacob’s name shows the character of someone who is trying to lay siege to the kingdom of heaven (through the baptism of fire) and he succeeds in battle which is why his name/character gets turned into Israel, because he prevailed to enter the kingdom of heaven (inside) with God. And he called that place Peniel. This seems to be related to the Pineal gland. Another interesting fact about the pineal gland is that it produces melatonin. Melatonin helps to modulate your sleep and can give you more vivid dreams (this is not a suggestion to take it as a supplement, as it can cause crazy, weird, scary dreams also). But what’s going on there? You can see the post Are We Spirits in Heaven Playing Avatars On Earth? for more information, but the basic idea of the post is that we may be going back to God when we sleep here, and if so, our dreams may be a manifestation of what we see symbolically on our journey to heaven and back during the night. If the pineal gland is actually regulating that, it makes sense how we can see God face-to-face during the night. Perhaps Jacob was dreaming and struggled with God in his dreams? Either way, it seems that his struggle had to do with the pineal gland. Scripture of the Spirit had an interesting article on this here: How Wrestling God Awakened Jacob’s Pineal Gland and you may find our article “Wrestling with God: Turning From Jacob to Israel in Your Pineal” interesting also. The word chakra is Sanskrit for “spinning wheel.” From Wikipedia “At heart, the chakra denotes a ‘wheel’, a ‘circle’, and a ‘cycle'” They’re seen as energy centers of the body. Many people have different ideas of how many chakras are the main ones. But the general consensus is that there are 6 main chakras in the body, while the 7th crowns the person. We are told that there were 6 days of work, and the 7th day was a day of rest. From the creationist standpoint the world has been through 6,000 years and is looking forward the next 1,000 years as the New Age (or Millennium or Messianic Period). In the Millennium period we’re supposed to be given crowns as we become kings and priests. No one but the lamb can open the 7 seals. We must be like lambs led to the slaughter, willing to lay down our lives, our desires and sins, in order to die to our old lives and become one with Christ. When we become one with Christ, and become the lamb, we may open the seals/chakras. In the following video I discuss how we can be like Christ when we see these biblical stories of the Exodus & Passover as parables. Kundalini SerpentsThe Kundalini Spirit is most likely the fiery Holy Spirit. When people try to “Awaken the Kundalini Spirit” they seem to be asking for the baptism by fire, or another way to think about it is turning up the heat on the lake of fire in order to sweat the toxins (sin, demons, shadow-side) out of your spiritual body. This is why people warn about going too fast, and trying to do it without preparing for it. It can lead to the dark night of the soul that Gregg Braden talks about. You have to face your shadow side, your negative aspects, like looking in a mirror at everything you hate about yourself and this world. It can lead to major depression. But it doesn’t have to be like that. You don’t have to force yourself to go through the awakening process so quickly. You can start gradually with a deliverance, and pray to be guided by the Father through the whole process. Our Father would not allow anything to happen to us if we’ve repented of our sins. According to the early followers of Jesus (Yehoshua), they believed if you resist the “devil” (AKA demons, fallen angels, jinn, archons, your shadow side, etc), “he” WILL flee. “These things seem good to the all-seeing God, that you (demons) lord it over no man; that you trouble no one, unless any one of his own accord subject himself to you, worshipping you, and sacrificing and pouring libations, and partaking of your table, or accomplishing anything else that they ought not, or shedding blood, or tasting dead flesh, or filling themselves with that which is torn of beasts, or that which is cut, or that which is strangled, or anything else that is unclean. But those who betake themselves to my law, you not only shall not touch, but shall also do honour to, and shall flee from, their presence. For whatsoever shall please them, being just, respecting you, that you shall be constrained to suffer. So if you repent, then the demons can do nothing to you. Many mainstream Christians are either too confident (thinking demons can’t touch them even if they sin) or too afraid (thinking demons can harass them all the time even if they don’t sin). If you just go through the deliverance, repent, and stop sinning, the demons can’t do anything to you, and you’ll find out the Holy Spirit is convicting you of sin, and that’s what many people call going through the “Kundalini Awakening Process.” See the “The Cursed Serpent & Kundalini Serpent That Moses Held Up” article for more information. Though many mainstream Christians will suggest that when you do certain poses with your body you’re inviting demons in because the term Yoga means “to attach to,” “yoke,” or “join together,” and they believe that it’s joining together with demons rather than the creator. The bible doesn’t say not to perform yoga, though some would say it does because of the command not to learn the ways of the heathen. But now they’re calling Hindus heathen. Would our creator call them Heathen? The bible suggests that the heathen were worshiping idols. The Hindu belief is in a spirit called Brahma. As discussed on the Manu and Flood article, they may believe in one creator, but just have given that creator multiple personifications just as the Christians have given YHWH 3 personifications (Father, Son, & Holy Spirit). But the creator is still just one spirit. Also on that page is a video that suggests the “Brahma” that they worship may have gotten it’s origins from the god of “Abraham” or vice versa. There is a huge connection even in the sound of Abraham/Brahman. Could it be that the spirit they worship is the exact same spirit that Abraham worshiped? If so, can we really call them heathen? Also, some Christians object to the “yoking” of yourself with another Spirit, but Jesus (Yehoshua) told us he was one with the Father (who he called “spirit” John 4:23-24). He also told us in John 17 that we are to be one with the Father. How do we become one with the Father? We yoke up with Him; we join Him. In Hindu mythology an avatar is a “god” that has incarnated into a body and the bible says God’s spirit is in each of us, basically incarnating our carnal bodies. Exodus 29:45 I will dwell inside the Israelites and be their God. The bible actually suggests we are all bodies/souls with YHWH’s spirit incarnating us (1 Corin. 3:16, 1 Corin. 6:19). This is why Jesus (Yehoshua) spoke of his body as the temple of God that would be raised up again (John 2:21). You may want to check out the article Are We Spirits in Heaven Playing An Avatar On Earth? for more information. In this way all Messiahs, or “anointed ones” can be considered avatars. You can also see the article on Manu and the flood for more information. Jesus (Yehoshua) actually calls us “gods” which seems to frighten mainstream Christians, because they think the serpent suggested we could be “gods” and the serpent was wrong. But YHWH specifically says mankind was like the gods knowing good and evil in Genesis 3:22. The problem is most people don’t know what the term “god” means and how it was understood from the Hebraic perspective. They tend not to understand what it meant to be an apostle or “shaliah”. See the article “Christ Said, “Ye Are Gods.” What Did He Mean?” for more information.